In addition to DJing and MC services, Eklipse Productions offers exclusive enhancement options. These can be added to any DJ package or can be booked separately. Transform the look and feel of any room into something exceptional with uplighting. It easily sets the mood of the entire event by adding dramatic, elegant columns of light. 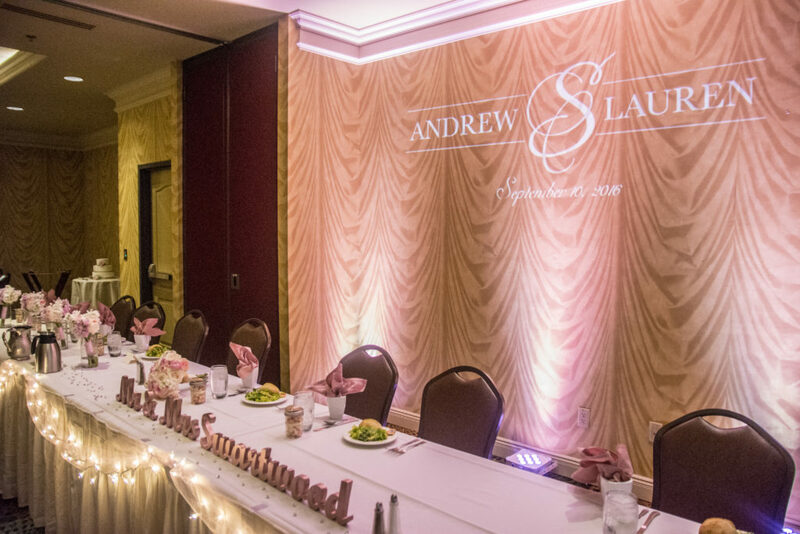 We offer three different options for uplighting that is customized to fit your room: accent lighting, architectural lighting, and full ballroom lighting. The unique thing about our uplighting is that not only can you choose the color for the lighting, but we can change the colors throughout the night to create different moods or an exciting light show once dancing starts. Contact us for pricing!